The way people purchase iOS apps will never be the same. With Apple’s recent announcement of the App Preview in the iTunes App Store, consumers will likely demand an effective overview demo of every app before making a download decision. It’s a game changer that will drive the competitive app marketplace to quickly adopt App Previews. An App Preview is a 30 second video that demonstrates the features, functionality, and user interface of your app. Browsers can watch them directly on your App Store product page. App Previews also come with some very specific requirements that you will want to consider in order to maximize the benefits of this new marketing tool. 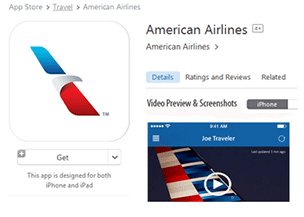 App Previews are device-specific and can have different videos for the iPhone, iPad, and the iPod touch. App Previews are only viewable on devices running iOS 8. To upload, you will need Safari 8 and OS X 10.10 or later. You will have to pick between portrait or landscape orientation. To view more technical requirements view the official Apple Developers page. You’ve heard it before, but start with the end in mind. Remember, you only have 30 seconds to meet your objective, so focus on being clear and concise. Use a Content Outline to define the key screen elements and flow of your Preview. Only include the most important features that can be easily explained. Never cram too many features into the Preview, it will make you and your app look bad. Don’t write a long script and then “whittle it down”. You’ll only waste time and effort. You have somewhere between 60 and 70 words to make a case for your app, so be realistic about what you can cover. While the visuals have to be your apps actual screenshots, the voiceover and on-screen text should speak to high level benefits. It should go without saying, but don’t include personal or inappropriate information within your App Preview. Take the time to make sure that the screens you show are the best possible representation of your app’s interface. Note, this may take some time and/or a little Photoshop. Over the years we’ve learned that every demo project has its own set of challenges and opportunities. With App Previews, the 30 second time constraint presents both a challenge and an opportunity. Most of our clients need our help to be more concise, but the great thing about the constraint is it forces you to focus your messaging, and that’s always a good thing. If you have an Android app, make sure to post a video to the Google Play Store also. Shorten the video content further to leverage it on Instagram and Vine. Use a longer version on YouTube and Facebook to provide more insights to your app’s unique value and be sure to include a compelling call to action. Note, we recommend starting with the longest version first, it’s much easier to edit then to add. Include longer form videos on your website’s product page and landing pages to drive people to download your app. Apple knows that screenshots are really important, but they just don’t seal the deal in today’s video-centric world. Showcasing the value of your solution through its functionality gives buyers the confidence they need to convert. And the apps with the best previews will rise to the top of the sales charts.